Santa has been hard at work alongside American Airlines Cargo this year and, in addition to helping move presents around the world for the festive season, the team has been moving huge additional volumes of priority mail. Although some people prefer sending e-greetings to spread yuletide cheer, many more are still opting for the traditional card in the mail. In fact, American’s Dallas/Fort Worth team handles more holiday mail than any other station. 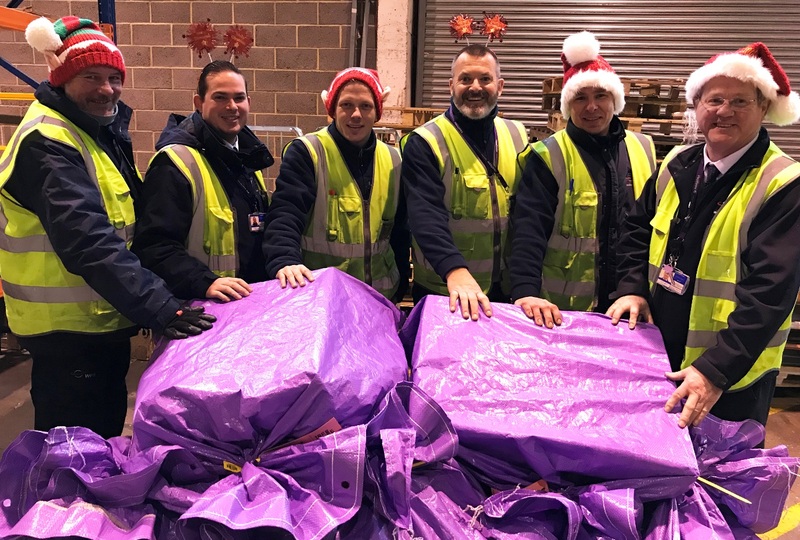 Pictured, we see members of the U.K. handling team at London Heathrow (LHR) with the purple sacks that identify priority mail destined for cities in the U.S. and onward across the American Airlines network. Mail from northern Europe in the month leading up to Christmas is up more than 130 percent compared to last year.